Last week I had the opportunity to cover a story for the Edmontonians and photographed Dawna Friesen – the new anchor for Global National. Ms. Friesen was in Edmonton as part of a national tour to meet with each of the local Global TV studios across Canada. 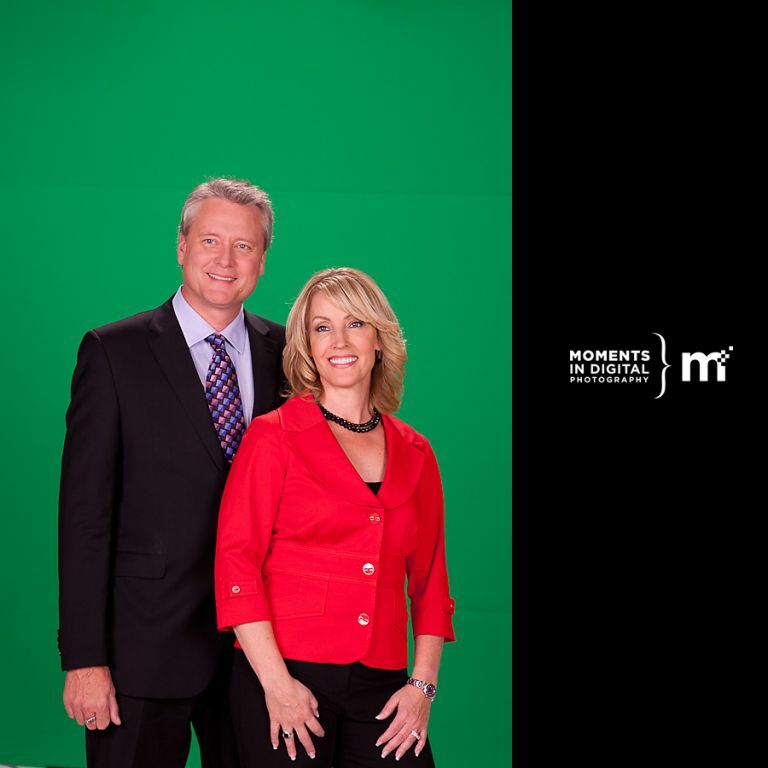 While she was in Edmonton, she shot some promo spots with Lynda Steele and Gord Steinke and I was able to join them on the set and capture a few still photos while they were filming the spots. Most of the time when I’m photographing people, whether it be for a wedding or covering an event, lighting always seems to be an issue so it’s nice when you get to shoot in an environment like a television studio where the lighting is all setup for you. The biggest challenge with this assignment was time. 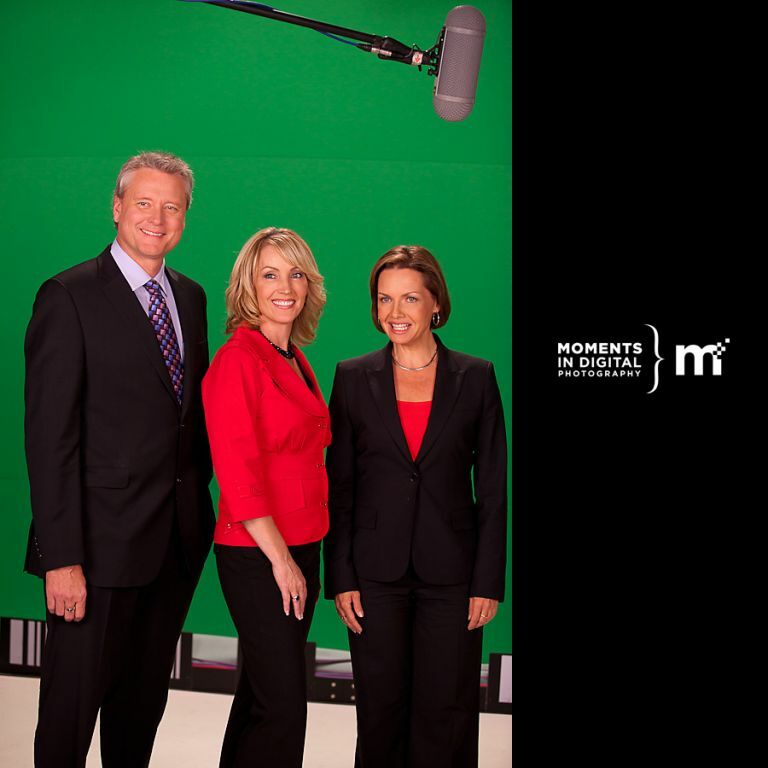 With a full schedule of meetings and only an hour or so before the first newscast of the evening, Dawna, Lynda, and Gord were only on the set for a few takes before having to get on with the rest of their day so I had to make sure I got the shot quickly. Here are a few photos from the shoot. Afterward, there was a reception in the Global Edmonton offices where Dawna got to meet the staff who work at Global Edmonton. 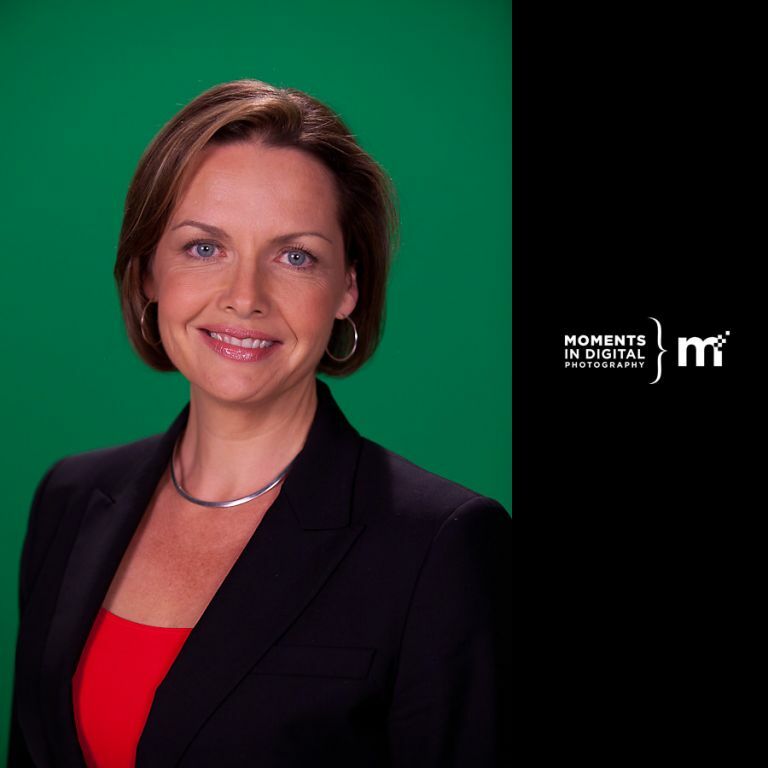 Dawna is from Manitoba originally but has been working for NBC for the past eleven years as a foreign correspondent and anchor based in London. She has covered stories around the world including the war in Iraq & Afghanistan, every British election in the past 10 years, and most recently covered the Winter Olympics in Vancouver and won an Emmy for her part in the coverage of the night Barack Obama was elected President. 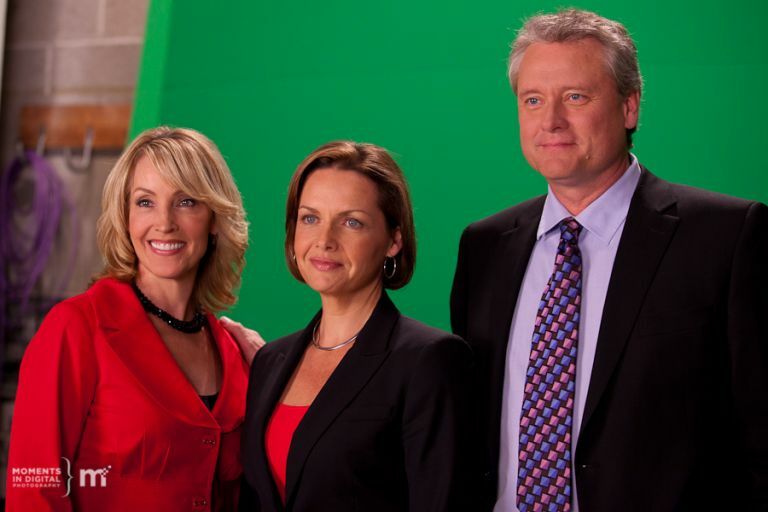 You can watch Dawna weeknights on Global National at 5:30 starting September 20th.